When high school students are told to “say no to drugs,” the message that is often received is that you are supposed to say no to drugs like marijuana, cocaine, or heroin. An unfortunate oversight in this message is that commonly known illicit drugs are not the only dangerous substances that should be avoided. 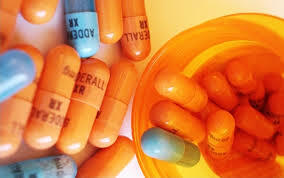 Adderall, a prescription medication used to treat attention-deficit/hyperactivity disorder (ADHD), is a drug that is frequently abused among teenagers for the purpose of increasing concentration. With some teenagers using this drug during stressful times of the school year, like finals week, or on a regular basis with the hopes that Adderall will help improve academic performance, the dangers associated with abusing this prescribed medication can lead to life-threatening and permanent consequences. High school-aged children often assume that Adderall is not a “real” drug since it is prescribed by a doctor. Furthermore, because a number of teens get it from their friends, another common misconception is that Adderall is safe. The reality of the situation is that Adderall, when taken without medical supervision, is dangerous. Mounting pressure due to expectations for academic achievement, both externally and internally imposed, and the fact that Adderall abuse is practically trendy now-a-days are two of the biggest reasons why high school students turn to this drug to increase concentration. With the rise of Adderall abuse becoming more prevalent over the years, the risks are becoming known and leading to greater concern among parents, school personnel, and healthcare professionals. But what are the risks and what can ongoing abuse of Adderall do to a person over time? Adderall, an amphetamine classified by the D.E.A. as a Class 2 controlled substance alongside cocaine and morphine, is a stimulant that allows individuals to stay awake and concentrate for long periods of time. Getting an appropriate amount of sleep can greatly improve daily functioning and well-being. For high school-aged children, this is especially true being that adolescence is a crucial time in a person’s physical and emotional development. When a drug like Adderall is taken, and sleep is hindered or explicitly prevented, an individual’s development can be stunted or slowed. Furthermore, when a teenager does not get enough sleep, he or she is more likely to become irritable or have drastic shifts in mood, which can then lead to the onset of certain mental illnesses. Depression, more specifically, is known to occur in those who abuse Adderall due to mood swings brought on by sleep deprivation. In addition to depression symptoms brought on by lack of sleep, an individual’s cognitive ability can also be greatly impacted. While a lot of teens think they have increased alertness while writing a lengthy paper or studying for a test, the aftereffects of being on Adderall can change how a person retains information over time. Imagine running a marathon without eating or drinking anything beforehand and when the race is over, you just feel burnt out. Similar effects happen after a marathon of paper-writing or studying. A person’s brain is constantly at work and then fizzles out after the stimulating effects of Adderall wear off. If abuse of this drug continues, a person’s brain may no longer be able to process or retain information in a normal way. A person’s general health, in addition to brain functioning, can also be adversely affected after prolonged use of Adderall. Continued abuse of this prescription drug can ultimately lead to addiction, which can cause permanent damage to a person’s vital organs. Furthermore, and as with other substances, consuming too much of a drug can lead to an overdose. Recent statistics reported by emergency rooms have shown an increase in the number of teenagers requiring medical attention after consuming enough Adderall to cause life-threatening health risks. Part of what can be done to minimize these risks is by increasing awareness on the dangers associated with Adderall consumption. While high school-aged children perceive increased concentration as a pro for improving academic performance, it needs to be conveyed that the cons associated with this harmful drug can have lasting effects that can could elicit future treatment if this problem goes ignored. If you feel like a friend or loved one has developed an addiction to Adderall, it is imperative that he or she receives treatment as soon as possible because, without appropriate interventions, the long-term effects can be detrimental. Bio: “High School Life: Why Using Prescribed Adderall to Concentrate is Dangerous” was written by RiverWoods Behavioral Health Systems clinical team member Heather Wilk, MA, NCC. Heather has several years of experience working in the treatment field as a clinical therapist and has her Master’s degree in Community Counseling from Concordia University – Chicago. Site Description: RiverWoods Behavioral Health (http://www.riverwoodsbehavioral.com) is a leading provider of inpatient treatment for adolescents and adults who are in need of care for behavioral health issues and/or chemical dependency concerns. Knowing that making the decision to seek treatment can be one of the most intimidating decisions that a person makes, the staff at RiverWoods takes pride in offering a safe, confidential, and comfortable setting for individuals as they take the important first step in facing their challenges. Through the introduction of individualized treatment plans that are carried out by compassionate staff members, people who come to RiverWoods for treatment will develop the tools they need to overcome their addiction to substances, regain control of their lives, and sustain lasting recovery and sobriety.